What are the top benefits of going to trade shows? The most notable answer not given was education, something that trade shows routinely market but integrators did not find valuable. 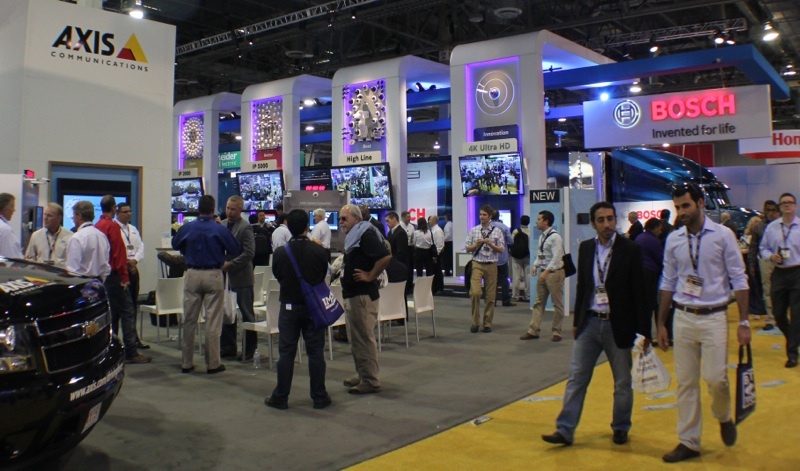 This is the companion post to Top Trade Shows For Security Integrators. In this note, we examine these responses, sharing color commentary from integrators and ideas of ways to best use trade shows. **** *** *** *** ******** ** ***** ** ***** *****? *** **** ******* ****** *** ***** *** *********, ********* **** trade ***** ********* ****** *** *********** *** *** **** ********. This ** *** ********* **** ***** ***** ***** *** ******** ***********. ** **** ****, ** ******* ***** *********, ******* ***** ********** from *********** *** ***** ** **** ** **** *** ***** shows. "**********" ***** ***** ****** ** *** ********." "********** ** ****** ****. ******** **** ************* ** ********** ** understand ***** ******** ******." "******** ************* **** ******* ** ** *** ****** ***. ********** with ***** ******** *************." "******** ************* *** *********** ****** *** ********. **** ****** ** get * *** ** ****** **** ** * ******** **** over * ***** **** ******." "******* ******** **** *** ********* **** *******." "*********** ****** ************* ** *** **** *********. ******** ** *** technology ** *********, *** *** ** ********* ** ** *** many ***** ***." "****** *** *** ********* ******** *************. *** ************ **** *** supply ***** ********* **** **** * **** ***** *** ************ before *** ****. ********* *** **** **** ****** ********* **** you *****'* ***** ** - *** **** ** *******." "*. ********** **** ************'* ********** ****"
"**** ******** *********, *** *********, ***** ******** *************"
"***** *** ******** ************* **** ************* *** *******." "*** **, ** ** ******** ******** *** ** ******* ******** shows ** ** *********** ** ******* **** ** ************ ********"
"** *********** ** ******** ** ******* ******** ************ *************. **** integrators *** *** *** **** **** *** ************ **** **** with." "******* ****** ** * ****** #*. *********** ************* **** ***** by ***** ** ***** ** ****." "*** **** ** **** ************ **** **** ****** *********** ** our *****." "** ****** ************* **** ***** ******* *** *********." "******* ** *** ************ *** ******* * **** ** * face." "** *** **** **** ** *** * **** ** *** name! *** **** **** ** **** *** ********** ** *** have * ************ **** ***** ***********." "*** **** ******* *** ** ** ** **** *** ****** from *** ********* **** ** **** ******* ** ***** ** mail. ** *** ***** ***** ** *** **** ****** ****** contacts." "** ***** "****" **** ******** ******** *** *******... ** *** by ***** *** ** **..."
"**** ********* ** **** ******** *** ***** ********** / ******* that *** *** ********* **** ** **** **** ** *******." "******* **** ** **** **** ********* ** **** *** ******** etc." "* ***** ** **** * **** ** ******** ******* * am ******* ***. ****** * ********* ********* ** **** ** an ******** ******* ** *** ** ******* ** * *** that ***** **** *** *** ****. ********* ** ******* *** an ****** ** * ******* ** ****** *** **** ***." "******* ** **** **** ***** **********/********* ***** *** **** *** finding ******* ********- ********** ******** **** ***'* *********** ******* ** required. *** **** *** **** *********** ******* ****** **** ********/************ propaganda." "** ** ********** *** *** ******* ** ***** *** **** new ********. *** ******** * ******** ******'* ***." "******** ***** *** ********. ************* ***'* ****** **** ** **** door ******* *** *** **********. *** *** **** ** ***** and ****** ** ***** *****." "***** ***** *** ******** *** ******** ******** *****." "****** *** ******** ** *** **** ******* ** ***** ** a ***** ****." "******** ***** *** ******** **** ***** ** ****** ** *******." "****** ******** **** ** *** *** **** **** ******** **** previously." "********** *** ******* ** **** **********"
"** *** ** *** *** **** **** ************* ***** *** latest ********." "***** ***** *** ********** *** ******* **** ******"
"********** *** ****** *** ********." "******* ** **** *** ********** ***** *** ******* *** ************* with ******* *** ****** ** *** ********"
"****** *** *******/********** ****'*, *** ****** ******** **** ******* *** new *************/************ ** **** *********." "********* **** ******* *********, **** *** ******** *************, *** ******** new ******** *** ************." "*****-** ************** *** ******** ****** ************* **** *******. **** ** my ******, * **** ****** *** ** *** *** ****, and **** ****** ***** **** ************** **** ****." "** *** ** ** ****** *** ************* ******** ****** ** don't **** ***** *** ** *** *** ********/************ ***** ** and ****'* *** ******* ******* ** ***** ***** ** **. Also **'* * ***** *** ** *** ** ******* **** other ************* ** **** ***** *** **** ************* **** **** manufactures *** ************ ****." "** *** *** * *** ** *************, ********* *** ************ contact ******* *** **** ********* ** **** ** **** ******* updates ***** *** *****." "******* ********* *** ******** ************* ** **** ****** ******** **** manufacturers." "******* ******** ** ******** ************ *** ********** ******/ ******* *************." "**** * ***** **** ** ********. - ***, ******* ************* with *******/************* *** ***********." "*** *** ******** *** **** *** *************." "*********** *************, ****** *** ********." "******** *** ******* *** ****, *** **********." "**** *** ****** ******** *** ****** *****. ******* **** *** manufacturer." "**** ** ** **** ** ****** ****. ******* **** *******, manufacturers, *** ***********." "**********... ******* ************* ****. ***** ***** *** ********." "******** ************* **** ******* *** ****** *** ********." "*** **** ********** ******* *** ********* ***** ***** *** ***, networking ************* *** ***, *** ******** *** **********. ******** ** that ***** ***. "********** **** **********! ******** ***** *** ********." *** ** ***+ *********, **** * ***** ******** ** *********, despite *** ****** *** ********* *** ********. ***** **** ***** shows ***** *********, *** ********* ******** ********* **** **% ** less ********** **** *** **** *****, **** **** ** *** limited *********** ***** *** *** **** ***** *** ********* (*. *., show ****** *** ********* **** ***** ********* *** ** $*** - $***). ********, *** ** ***+ *********, **** * **** **** ** not ****** ***** ***** ** *** ***/** **** **** ***** no ***** ** ***** *****, * ******** ***** *** *** role ** ***** ***** *********. ***** **** ** ** **** * ***** ******* ************* ** compare ************ *** ************. **'* ***-**** ******** ** *** *** your ***** *************. *** *** ********** ** * **** **** would ******** **** *** *-* ****** ** ******** *** ********. ** ** *** ********* * ******* ****** ******* ** **** to *** * **** ** **** **** ************* ******** ***** team ** *** *** *** ******** ** ** * ******. Sometimes *** ***** *** *** **** ********* **** ** ******** or ******** ****** ** **** **** ***** *** ** **** us *** ******* ****. **** *** ****** ** *** **** but ******* * **** ***** ******. *** ** *** ******** ** ***** **** ** ** ***** our ***** *** ********* **** * ****** **** ** *** competitions ********. ***** **** ** **** ** * ************ ***** software *** ******** ******** **** *** ******* **** ** *** using ** **** *** *********** ** *****.